chapter 11 : Hidden Christians Discovered and the Tragedy of Nagasaki | Light and Shadow: Christian History, Resurrected. Hidden Christian Sites in the Nagasaki Region. In Urakami, donated to the Society of Jesus by Harunobu Arima, the belief for Christianity had existed in spite of being under the rule of banning Christianity. From the end of Edo period to the beginning of Meiji period, during this time, one of the most important religious incidents occurred such as the discovery of hidden Christians and the forth execution of Christians (one of the incidents of suppressing Christianity called “Urakami Yoban Kuzure”). After twists and turns, Japanese Christians finally had won the freedom of religion by the government lifting the ban on Christianity. But that was a fleeting moment. The most terrible tragedy was happened during Showa period. Urakami, the former territory of Arima, was donated to the Society of Jesus by Harunobu Arima and became the place that had deep-rooted faith for Christianity. 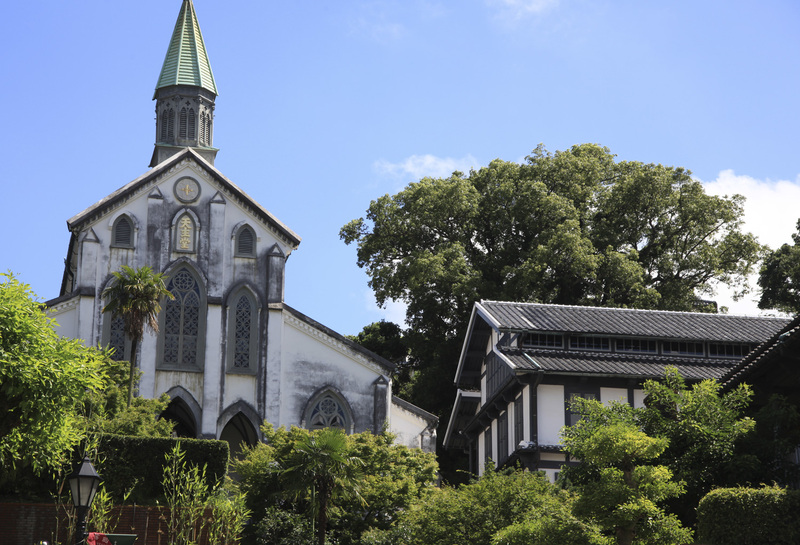 Also, other six villages in Nagasaki were the territory of the Society of Jesus and a large number of churches were built and became the base of religious faith. Later, Hideyoshi Toyotomi issued the edict expelling the Jesuit missionaries and confiscated Nagasaki and Urakami. Missionaries were expelled and churches were destroyed. 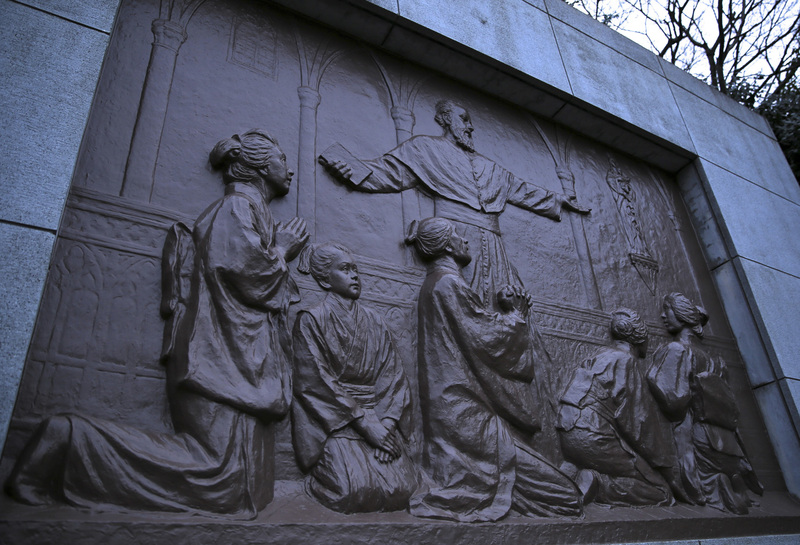 In 1596, missionaries and Japanese Christians of twenty-six people were captured in Kyoto and sent to Nagasaki. They were all crucified on the hill of Nishizaka. There was a twelve year-old boy named Luis Ibaraki. One government official tried to save this little boy, who was about to get executed. He persuaded the boy saying “Renounce Christianity right here so that I will save your life.” But the boy, Luis Ibaraki denied it by the reason of failing to go to Heaven if he renounces Christianity. On the contrary, he said “where is my cross?” as he was running to a small cross which was equal to his height and expressed his joy by saying “Paraiso (heaven), Jesus, Mary”. All twenty-six Christians were martyred by being pieced both sides of the body with spear surrounded by a crowd of approximately four thousand people. But the under the rule of Hideyoshi, the suppression of Christianity hadn’t started yet. There were several churches left and the number of Christians had been increasing. It is said that there were approximately thirty thousand Christians at the moment before the ban on Christianity in 17th Years of Keicho. The missionaries and Japanese Christians, who had been concealing after the ban on Christianity, were captured one after another. More than six hundred people were executed on the hill of Nishizaka. Almost everyone in Urakami was Christians so that the core person of the village and the whole family members were executed as a warning. To escape from these suppressions and to keep the Christianity without missionaries, Christians organized a group including leading persons such as “Chokata”, “Mizukata” and “Kikiyaku”. They were going to hide Christianity for next two hundred and fifty years and prayed by pretending to celebrate Bon Festivals. During the end of Edo period, Treaty of Amity and Commerce between France and Japan was concluded and French people came to live in Nagasaki. 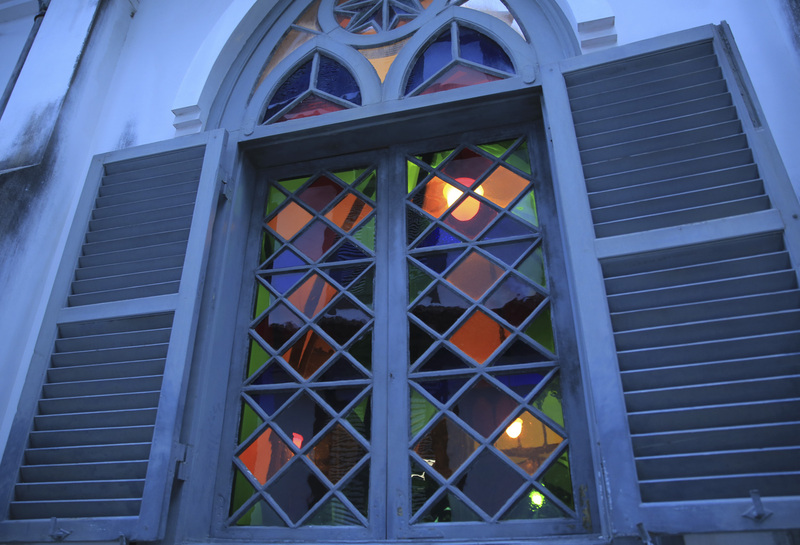 They desired to have a church for Sunday worship so that Oura Cathedral was built in 1865. It was called “French Temple” because it was built for French people. A month after the completion of Oura Cathedral, the historical moment had come. Fifteen hidden Christians including Yuri Sugimoto came to Oura Cathedral. 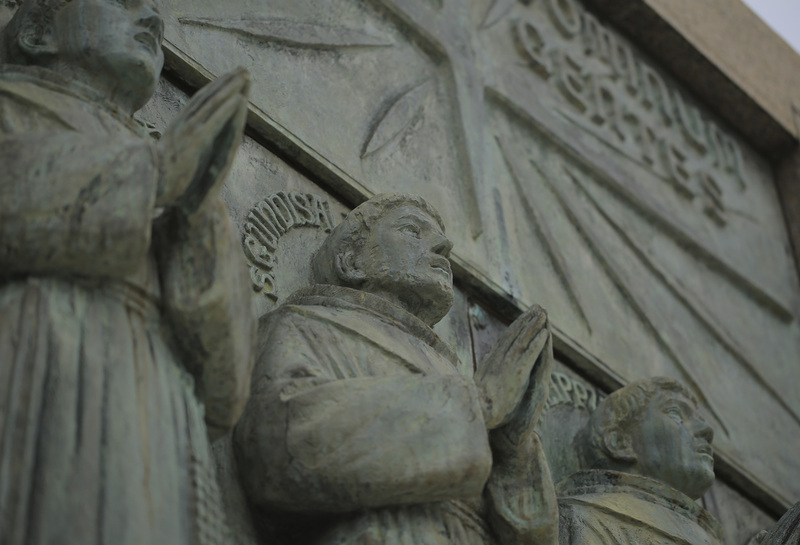 They approached to Father Petitjean who were praying in the cathedral and whispered “We have the same feeling in our hearts as you do.” That made him realized that they were Christians. In spite of the situation, severe banning on Christianity and having no missionaries around, continued for two hundred and fifty years, it is revealed to foreigners that the belief for Christianity had still existed. Father Petitjean was very surprised and pleased. And then he led them in front of the statue of Virgin Mary. This “Statue of the Virgin Mary of the discovery of hidden Christians” is still kept in Oura Cathedral. The story of this incident spread to hidden Christians in Goto and Sotome by word of mouth as it spread to Christians all around the world. They pretended to “go and observe French Temple”. But the fact is that some prayed others got baptized in Oura Cathedral. Oura Cathedral played the important role as spiritual support for Christians in Urakami. In 1867, they submitted the verbal note to the headman of their village, saying “We will have Christian funeral instead of Buddhist funeral.” The headman of the village was surprised and reported to the Nagasaki Magistrate’s Office. But the end of Edo period was the time of chaotic condition. The detail of this incident investigated very carefully because of the possibility for being blamed by other countries for persecuting Christians. As a result, sixty-eight Christians were captured and severely tortured. This is the beginning of the incident called “the fourth execution of Christians”. Later, the new government occurred by Meiji Restoration in Japan. Meiji government encouraged the idea of State Shinto and kept the ban on Christianity just like Tokugawa Shogunate did. They tried to find and destroy Christian villages. More than three thousand people were exiled and severely tortured. This situation had finally been changed in 1873. The country that doesn’t offer freedom of religion to its citizens was considered as barbaric by other countries. The government finally realized that banning Christianity prevented from having equal treaty with other countries. For this reason, the government finally lifted the ban on Christianity. In 1879, a small cathedral was built in Urakami and later, during the Taisho era, the construction of Urakami Cathedral, made of bricks, was completed. But August 9th, 1945, the most terrible disaster happened in Urakami. The atomic bomb was dropped nearby Urakami Cathedral. At that time, many Christians were at the cathedral for praying and every one of them was killed by heat ray of the atomic bomb. The country, dropped atomic bomb, was the one to open Japan’s door to the world and had great influence on the idea of freedom of religious. This was the scene of the tragedy choking our hearts with sorrow.